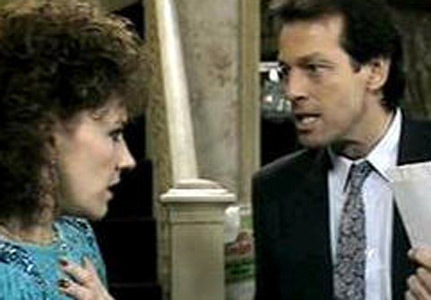 22 Things You Never Knew About "EastEnders"
1. The name Walford is mix of Walthamstow and Stratford—the areas of Greater London where creators Julia Smith, and Tony Holland were born. 2. Walford has the postal district of E20. The postal code for Albert Square is E20 6PQ. 3. The series got its name when co-creator Julia Smith rang agents, asking: "Do you have any real East Enders on your books?" 4. 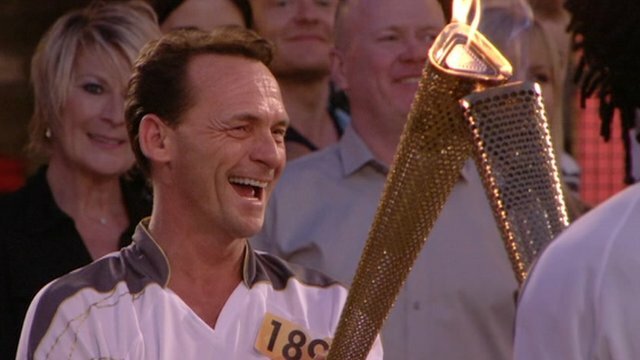 The Olympic flame visited Walford on 23 July 2012. 5. From 2012 onwards, the Olympic Park has been in the opening credits of the show. 6. The outdoor Albert Square set was built on the same plot of land as the building site in Auf Wiedersehen, Pet. 7. As the exterior set was built in 1984, the buildings were chipped at with pickaxes to make it look older. 8. Between 25-30 scenes are filmed each day. 9. The bulk of Dot Cotton's wardrobe comes from charity shops. 10. And the dress she wears every Christmas is the oldest item in the wardrobe department. 11. Pam St Clements (Pat Butcher) owns over 125 pairs of earrings for her character. The BBC accept earrings sent in from fans too. 12. Patsy Kensit, Cheryl Baker and Joanna Lumley were all in the running for the part of Chrissie Watts. 13. Barbara Windsor was fourth choice for Peggy Mitchell. 14. Den, Angie and Sharon Watts were originally going to be called Jack, Pearl and Tracy. 15. Ian Beale (Adam Woodyatt) is the last remaining original cast member, having joined in 1985. 16. Since 2010, CGI has been used to animate the trains in the show. 17. EastEnders was the first British drama to feature a two minute silence, on Friday 11 November 2005. November 11 being Armistice Day, of course. 18. The Queen and Prince Philip visited the Queen Vic in 2001. 19. Emma Bunton auditioned for the role of Bianca Jackson. She also played a troubled teen, in 1992. 20. Fictional tube station Walford East is located between Bow Road and West Ham, on the Hammersmith & City and District lines. 21. There have been 95 deaths since the show began, including Sugar, the dog. 22. The Christmas Day 1986 episode remains the highest rated episode of a soap in UK television history (30.15 million viewers). Facts via IMDB and Wikipedia.